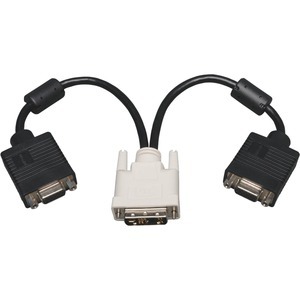 Tripp Lite's P120-001-2 DVI to 2 x VGA splitter allows you to attach two VGA enabled devices, such as monitors and projectors, to your computers DVI-I port. 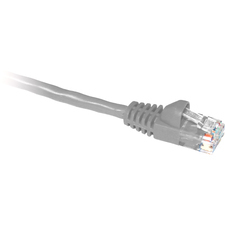 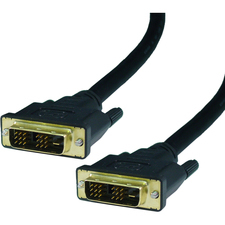 DVI-I is capable of outputting both Digital and Analog signals, so the splitter is perfect for connecting VGA LCD monitors, projectors, etc. 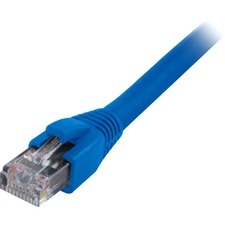 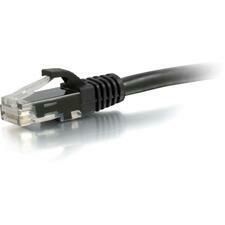 Fully molded construction and double-shielding ensures long life and high performance.